Olympic Cellars will be hosting Tami Parr at our Northwest Wine and Cheese Tour on Saturday, April 17. 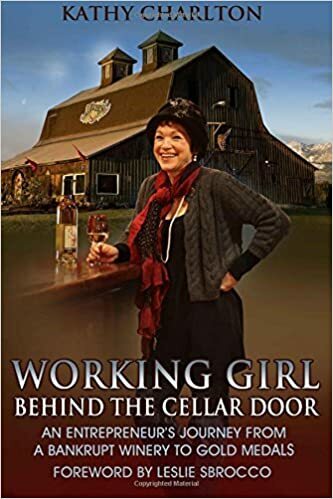 She will give three short, interactive presentations at 11:30 a.m; 1 p.m; and 3 p.m., with input from the cheese makers and Olympic Cellars Winemaker Benoit Murat. Afterwards, she will sign copies of her new book, Artisan Cheese of the Pacific Northwest. From Parr’s biography she describes herself as a lawyer turned freelance writer and cheese nerd - not necessarily in that order. Since its launch five years ago, Parr's Pacific Northwest Cheese Project blog has become the preeminent source for local cheese news, producer profiles, and cheese reviews. Her family originally hails from a small farming community in southern Wisconsin. Growing up, she visited Wisconsin just about every summer and while there, spent a lot of time with her aunt and uncle's dairy farm. It was there that she learned about the hard work that goes into creating the food that goes onto the dinner table, the relief of getting the milk check in the mail, and the joy of a good harvest. Parr is fascinated by cheese as a living, breathing food and a complex intersection of animal, land and craft. Combined with her passion for cheese she incorporates all these aspects in her blogs, public appearances, articles and in her book. Last May the Seattle Times interviewed Parr in honor of the upcoming Seattle Cheese Festival this weekend at Pike Place Market. It’s a great article for further information on artisan Washington creameries. Wisconsin cheese is a way of life… and it’s fast becoming the same in the Pacific Northwest. Just a few years ago there were no cheese makers on the Olympic Peninsula now there are five and that’s a small industry! These creameries are making delicious, award-winning products using sustainable farming practices.